Enzymes have been in common use in the food industry for years. 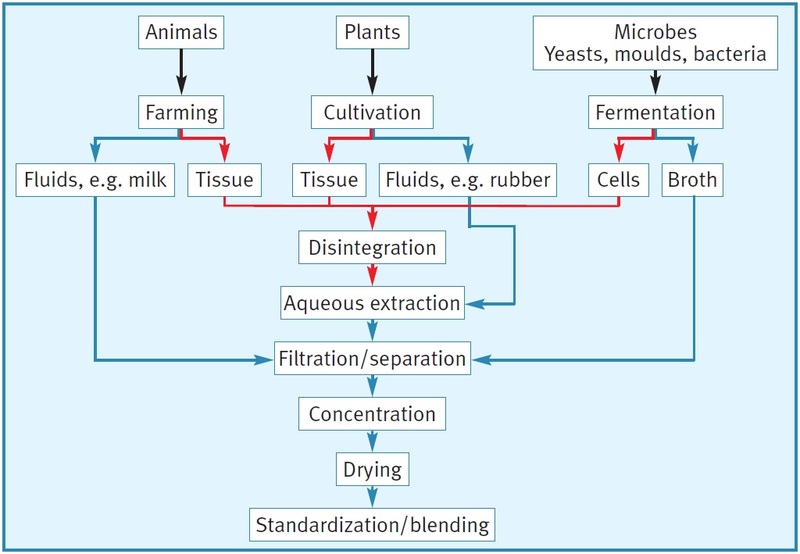 In contrast to most other applications in which enzymes find their way into foods, the enzymes in this case do not react at the place where they are added, namely in the mill; they do not take effect until the baker adds water. 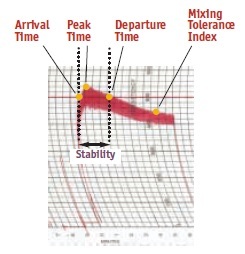 This difference in time and place is a great challenge to the flour treatment sector in general, but in the case of enzymes it is an especially complex matter. On the other hand enzymes are highly specific; that is, if they are pure enough they act on selected targets and only have to be added in small quantities. 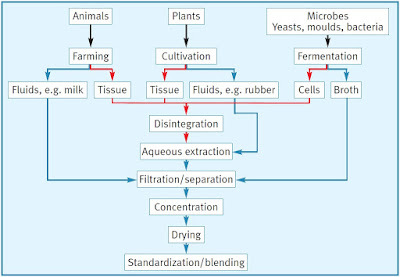 Moreover, they are entirely natural as they can only be obtained from micro-organisms by way of fermentation or from vegetable or animal tissue and fluids by means of extraction (Fig. 116). Like all highly concentrated natural substances, enzymes have a potential for causing allergies when inhaled by workers; cases have been well documented. For this reason care must be taken during processing to reduce dust formation and exposure to dust. The use of protective masks and gloves is recommended for handling concentrated enzymes at the flour mill. The baker only handles enzymes in a very diluted form, either in the flour or in bread improvers. About 10 ppm pure enzymes are added to flour. Bread improvers typically contain 1,000 to 10,000 ppm enzyme protein, which makes them more risky for the baker. Enzyme producers are aware of the problem and offer enzyme preparations with reduced dust formation. The flour itself still accounts for most of the bakers' allergies. 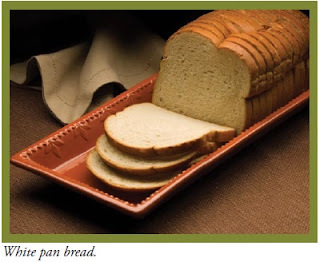 It is also interesting to note that many enzyme allergies come about through the baker's contact with moulds, e.g. on contaminated tools or bakery walls. 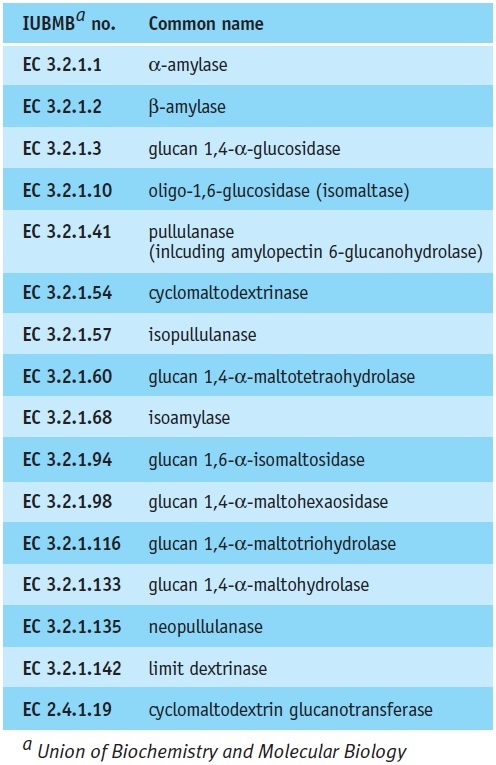 The amylase family has many members (Tab. 89). 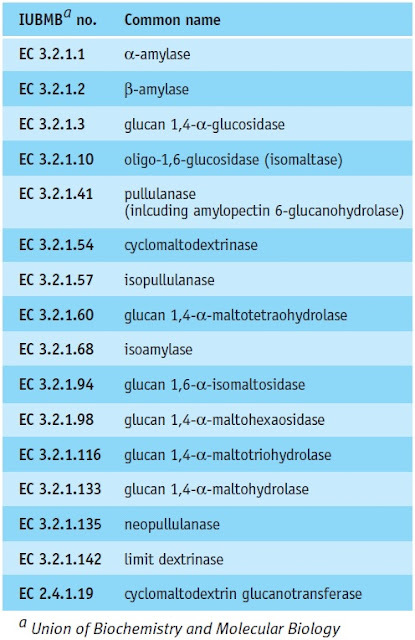 In baking, the amylolytic enzymes most often used are α-amylase, β-amylase and amyloglucosidase (glucan 1,4-α-glucosidase). 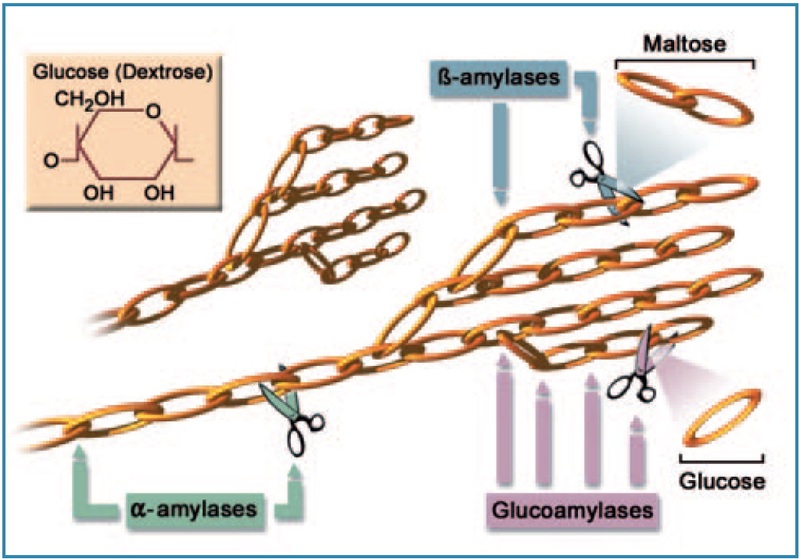 α-Amylase splits linear, unbranched sections of the starch molecule into smaller components (Fig. 117). Like most enzymes, amylase only acts on dissolved substrate, i.e. swollen, damaged starch in the dough. The short-chain dextrins formed by the action of α-amylase serve as a substrate for β-amylase or amyloglucosidase; these in turn split off sugar (maltose, glucose) that can be used by the yeast. 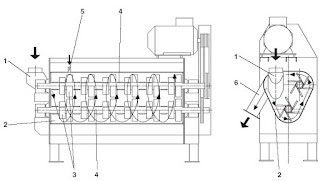 This chain of reactions reduces the dough viscosity, increases the fermenting power and thus the volume yield, enhances flavour and browning and prolongs the shelflife (of the crumb softness).